The Dark Ranger: What Happened To My Team? Gee wouldn't you know it, colton orr fights steve cote. now that wasn't expected? thanks for pointing this out, Dark and reminding us that the physical nature of the game (fighting) can turn the events, change the momentum. No one on this current team sees this. I cannot remember a team fight, or something that didn't feel staged or agreed to....something from the heart. 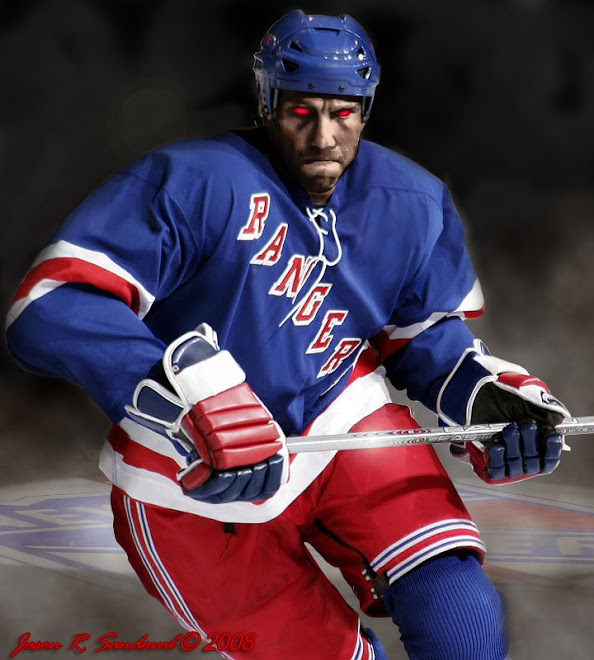 With Avery behaving himself, we can rely on Hartnell PIM'ing his way through the rangers d-men tomorrow. we need to knock them cold tomorrow. Or else. Pat Depuzzo (sp?) was the ref. That wasn't really a "game changer" in the video. The Rangers were up by two goals.